As you've figured out by now, The Barn is known for pulling off some fancy, fabulous, elaborate weddings. But if you've ever said to your significant other, "Let's run away and get married!" Well, you're in luck. The Barn Team just so happens to love a romantic, intimate elopement. And apparently a whole bunch of you do, too, because we've been getting tons of emails about them! If you're newly engaged and are thinking of booking with us in 2017, get ahold of us pronto! We're booking up like crazy (dates are going FAST), and we'd hate for you to miss your preferred date! Our elopement packages are for the couple who decides at the last minute to tie the knot. They're for folks who want gorgeous pictures, without the hoopla of a big wedding. They're for the couple who wants just a few family and close friends by their side as they tie the knot. Or they're perfect for an intimate vow renewal! They're always sweet, intimate and romantic, and while they're smaller than our other weddings, they are absolutely every bit as beautiful! From our Instagram. This photo is from Teresa + James' elopement at The Barn last fall! 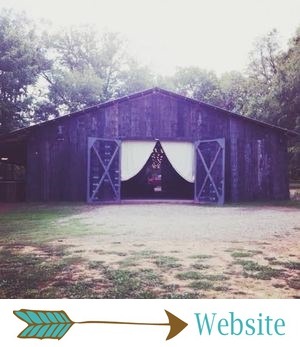 LOVE an inside The Barn wedding! Elmer Escobar Photography, from Amanda + Brad's intimate, shabby chic wedding inside The Barn. Their cake was made by theCakePlace, and I think it's the cutest thing ever! The Barn Team has pulled off a gorgeous elopement that was booked only four days before the wedding! As long as you give us a few days to get your flowers in and your cake ordered, we can absolutely make it happen. While our elopements may be small when it comes to the number of guests, they're big on style. Each elopement includes: private use of our grounds for two hours, a gorgeous altar set-up, a bridal bouquet and the groom's boutonniere, a guestbook arrangement, a beautifully displayed custom designed wedding cake and cake cutting services, set-up and tear down, and, of course, our attention to detail and level of service that we are so well-known for. Lela and Lyla, from Jamie and Mitch's sweet, romantic elopement at The Barn. Cutest little elopement cake I ever did see, by theCakePlace. Our elopement package includes up to 25 guests. Our elopement collection starts at $1,850. Of course, like every other wedding package at The Barn, we can adjust and add things to this one to suit your needs! Elopements can be scheduled from Monday to Thursday. 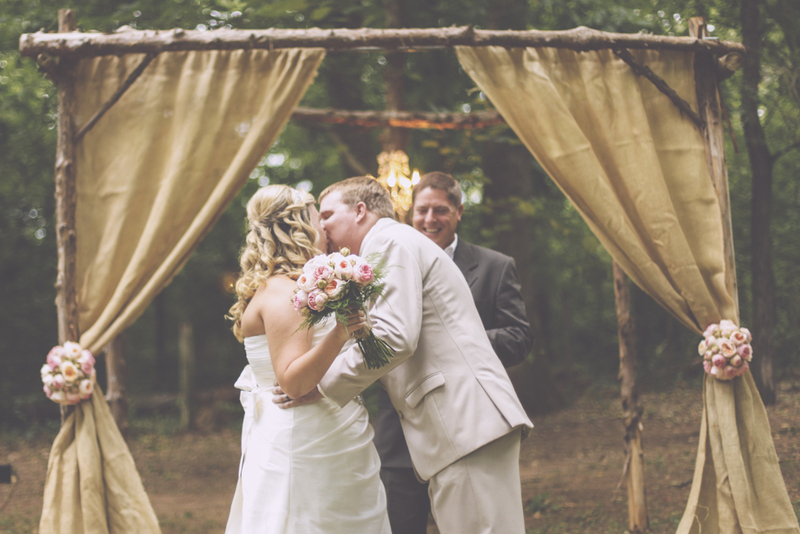 Each of these beautiful photos are from elopements at The Barn! See what I mean?! Just because your wedding is small does not mean that it can't be unbelievably pretty! In fact, some of my favorite weddings ever were small, intimate elopement ceremonies!